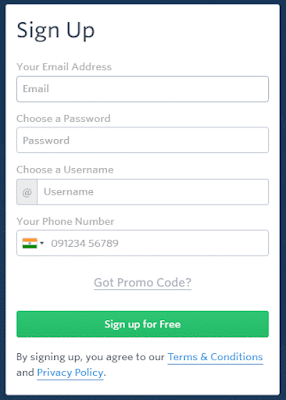 Instamojo is a Bangalore, India based start-up or we can say now a reputed company that has come up with a payment solution for Indian transactions. 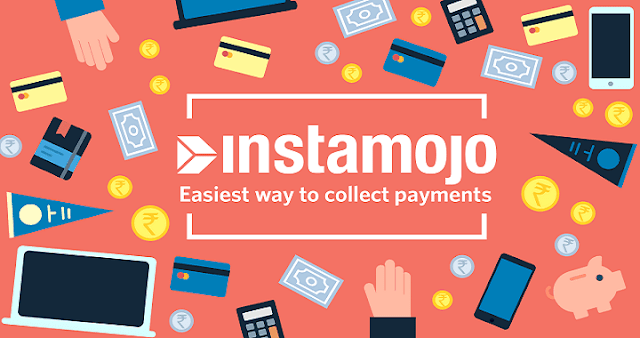 Instamojo is not just a payment gateway but a complete payment solution. With Instamojo, you can sell products online either physical or digital with just a link. Instamojo allows users to buy & sell digital files like reports, code, documents, photos, templates, tutorials, music, and videos and offer physical goods. Thousands of users are using Instamojo to collect payments for eBooks, reports, tickets, tutorials, merchandise, invoices, services, and much more. • You can either buy or sell your digital products and physical products online. • Payment processing with just a single link. • Accepts all major modes of payments like Credit Cards, Debit Cards, and Net Banking. • No joining fee. It’s free for everyone and you can register over here. • If you are selling some products online then you can receive payments every Friday directly to your bank. • There is also a feature to directly mail your customers directly from your Dashboard. Getting started with Instamojo is pretty easy and can be done in a couple of minutes. All you have to do is, just follow the below steps and you are done. • Once you are registered, you will have to log in and complete your profile. Once you are registered for a free account you will see the below Dashboard. 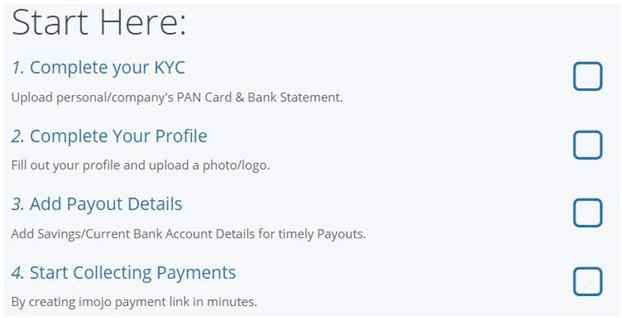 • Get your KYC documents like PAN card or bank document approved and it takes no more than 3-4 hours. • Now all you have to do is, create links and collect payments. These links can be used to collect the payments and once you will receive the payments, it will be transferred to your saving bank account associated with your Instamojo account. Well, by now you may be thinking that you are joining, creating links, getting payments but what about the platform? What they are getting? 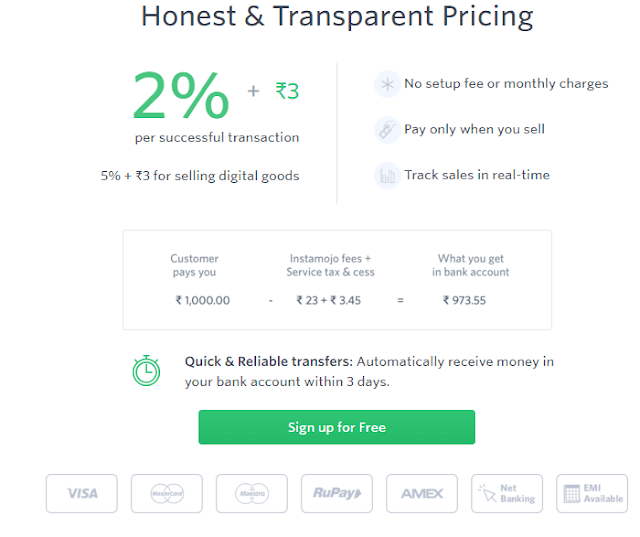 To answer that, Instamojo will charge a 2%+ Rs 3 fee on all the transactions. That means if you have received INR 100, INR5 will be deducted from it as a platform fee and rest 95 will be sent your bank account. You can check more about the payment charges in the last pricing section. The payments are done in your bank account in 1-3 business days from transaction. • Click on that and then choose a product you want to sell. • Just fill out the information of your product and proceed. • Approval is mainly based on KYC document you will share. • Once your account is approved get the link and share it on either social media or your own website to accept payments. 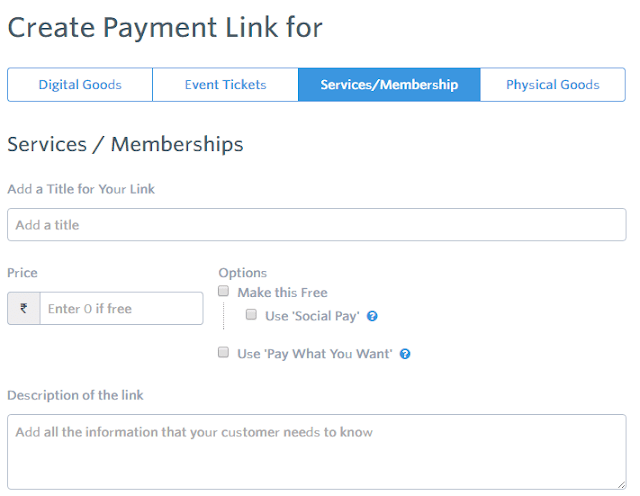 • You can also use buttons to accept payments from your website. If you are in any online business, you must be taking and giving some kind of transactions and Instamojo is mainly a payment solution. Below are some of the scenarios where you can use Instamojo effectively. Another thing is, Instamojo links are SEO friendly and so won’t have any negative impact on your site. You can sell digital products like eBooks, courses etc. You can sell tickets for events like workshops etc. Social pay: Social pay is the new concept of content marketing. If you don’t want to burden your readers or customers with monetary pricing you can always ask them to pay a social pay in return for your service. You can use WhatsApp, Instagram, FB etc. to collect the payment. Flexible Pay- This is very helpful if you are asking for a donation. Users can pay whatever they want. Very helpful for charity fund raising. This list doesn’t end here and there are many more features in production which will be launched soon. Instamojo doesn’t charge for the setup or any monthly charge. For a transaction, they will deduct just 2% with an additional INR 3. Also, you will receive money in your bank account associated with Instamojo in just 3 days. Well, who can provide better review than the one who is already using it? 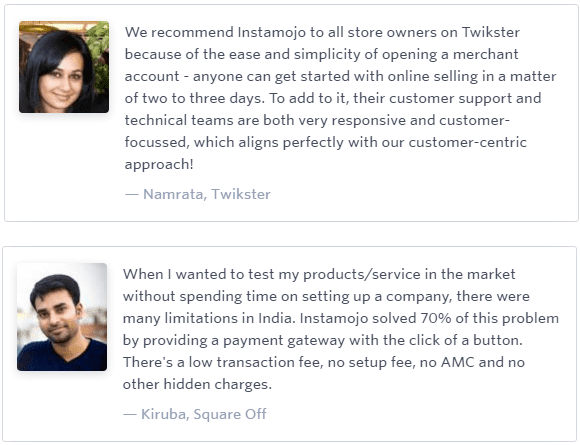 Below are a couple of reviews shared by their existing customers and shows that how they are satisfied with the Instamojo service. Instamojo team is available to help you out in any situation anytime. With their dedicated and experienced support team, you would be able to get your issue resolved quickly. You can get in touch through ticket and email. Also, there is some knowledge base on the support section for different categories and by following those you can easily get solutions. Instamojo has really solved the payment issue in India to a great context. You can sign up for Instamojo here, it’s free. You can partner up with them to sell or collect the payments online and start working digitally free. If you liked this article, consider it for sharing. Note: If you have clients looking for a payment solution, Instamojo has an interesting commission based program.